Nigerians have been praised severally for our uncanny ability to find the hilarious angles to even the worst of situations.The coping mechanism almost feels like a survival instinct coded into our DNA and it’s nice to see Nigerian creatives take advantage and use it as fuel for their careers in comedy. 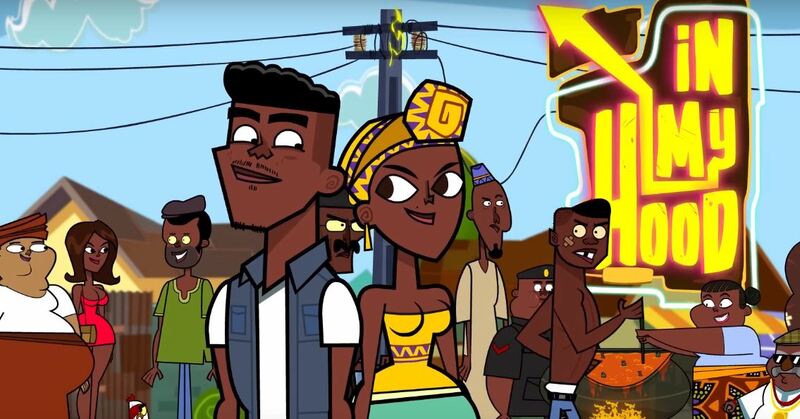 2018 Cartoon Network Africa Creative Lab Competition winner, Moshood Shades is finally set to release his anticipated “In My Hood” cartoon series and the teaser video is rated PG because of his unfiltered direction. Though the “Total Drama Island”-esque art style is just as pretty as any childish cartoon, the hip-hop theme-song hints otherwise as rapper, Mark Swank, describes the harsh realities of the street with a proud smirk. His street influences may be the series’ driving force, especially given the adult focus, but the cartoon and his spirited verse fill in the margins with goofy jokes as he lists out the possible characters while offering precise backstory with his bars and animation. You can watch the teaser video for “In My Hood” below.